What models of governance are effective in complex education systems? In all systems an increasing number of stakeholders are involved in designing, delivering and monitoring education. Like our societies, education systems are increasingly diverse regarding students, teachers and communities, as well as the values and identities we expect education to deliver. 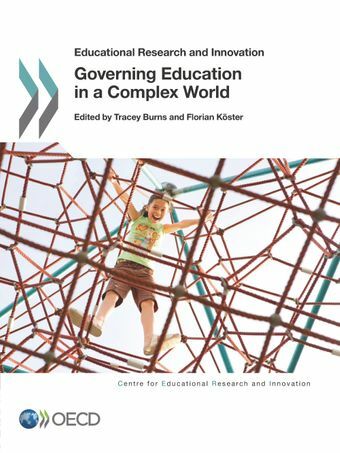 These trends have increased the complexity of education systems, leaving decision makers on all governance levels with the question of how to successfully manoeuvre in this highly dynamic policy area.Governing Education in a Complex World addresses key challenges involved in governing modern education systems, looking specifically at complexity, accountability, capacity building and strategic thinking. The publication brings together research from the OECD Secretariat and invited chapters from international scholars to provide a state of the art analysis and a fresh perspective on some of the most challenging issues facing educational systems today. Creating the open, dynamic and strategic governance systems necessary for governing complex systems is not easy. This volume challenges our traditional concepts of education governance through work on complexity, collaborative networks and decision-making. In doing so it sets the agenda for thinking about the inclusive and adaptable systems necessary for governing education in today’s world. The volume will be a useful resource for those interested in education governance and complexity, particularly policy-makers, education leaders, teachers and the education research community.